At some point or other we all end up being locked out of either our business or home. It’s not a nice experience being locked out but there are few tips we can give you if you are unfortunate enough to find yourself in this position. You can often avoid calling out a locksmith if you find there is another way back into the house. It is worth checking to see if you have left a back door open or a window that would be an easier way for you to get back into your property. You would feel a bit silly if you call a locksmith and then before they get there you ring them and tell them you’ve found a way in! For this reason it’s a good idea to check around the property to see if there is any way to safely get back into the property. We wouldn’t recommend climbing up drain pipes or scaling walls to get into your property! In this day and age a lot of us tend to give a spare key to a family member or If you are letting from an estate agent or landlord they will probably have a spare key for you to use, this will save you money on calling out a locksmith. Most of us tend to carry some sort of ID around with us in the form of a driver license or something like that. If you do not have any ID on you and you cannot prove the the property you are trying to gain entry to is yours then no reputable locksmith will help you gain entry to the property. If they did of course then anyone could let themselves into a property by calling a locksmith. Just the same as any other service you might require you will be expected to pay for it once the locksmith has completed the works. If you need a locksmith to come out then you need to make sure you ask for a quotation so you know you are in a position to pay for the service or not. This way the locksmith can be paid once you have entry to your property. Be Aware! – 24/7 Locksmiths are a reputable locksmith and will always gain entry without causing costly damage to your home! We cannot say the same for other locksmiths out there! If you do find yourself locked out and you desperately need to get a locksmith out it’s always a good idea to check and make sure whoever is coming to your property is a reputable locksmith. 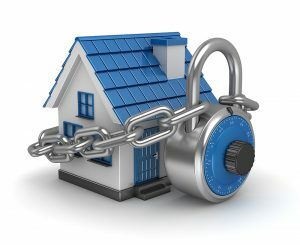 Sometimes cheaper is not always better, some locksmiths may be able to get you into your property without damaging anything which of course will save you money, but some locksmiths force entry by either drilling a lock or sometimes even smashing a window which means your repair bills are going to be costly. You can also check on a locksmith’s reviews to make sure there are no horror stories from previous clients. Make sure you contact a locksmith that is licensed and insured so if anything does go wrong you can make a claim against them. Hopefully you won’t ever need to use this check list but If you do find yourself locked out or need some advice then you can contact 24/7 Locksmiths 24 hours a day 7 days a week for all your locksmith needs on 0113 225 6634 or 07801 438 638 and we will be with you within the hour. Why pick 24/7 Locksmiths for your security emergencies? © 2016 24/7 Locksmiths. All rights reserved.